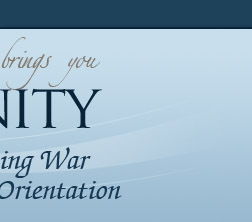 Homosexuality is, without a doubt, the most controversial issue of our time. Pushing the issue to the dark corners of our minds and churches, as we have done for generations, can no longer suffice us. We must face it head-on with honesty, integrity, and humility, allowing God's truth in love to reign supreme. Homosexianity is my contribution to helping thrust this issue to the fore. 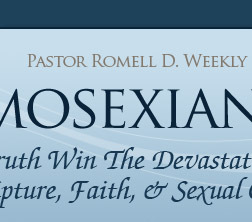 Homosexianity is a life-changing book written by Pastor Romell D. Weekly, which explores the subject of homosexuality from a biblical perspective, completely divorced from traditional views. If you've ever wanted to understand what the Bible does and doesn't teach on this controversy of our day, you don't want to leave this book out of your library. 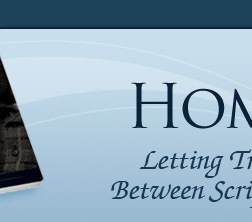 "I was extremely overwhelmed with this book's contents... in a most positive way. I'm not much of a reader, so for a book to grab my attention, it has to do it within the first few pages. I managed to read the book within a few days." 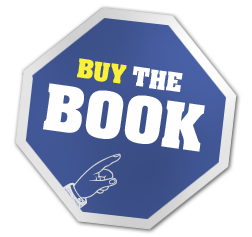 "I have been looking for a book like this for years! It is excellent; it is passionate, accurate, thoughtful, and prayerfully written. 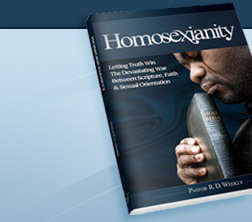 As a gay Christian, I cannot write anything negative about this book. You will not be disappointed in this book, regardless of whether you are gay or straight. " Copyright © 2011-2019. Parks-Weekly Ministries. All Rights Reserved.